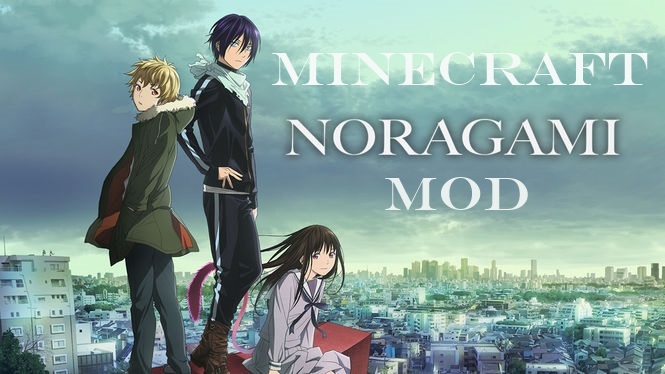 This mod, the Noragami Mod, is a mod based on the anime named "Noragami". just quit, and now he’s got to find a new divine weapon. -Yukine in both spirit and human form! -Kill a Yukine (spirit form. It spawns in the forest biomes and is hard to see and find) and it will have a rare drop of the item titled "Yuki". Using that and a Divine Crystal (which you find in shrines), you right click Yuki in the air and it will take 1 Divine Crystal and you will receive the "Sekki"
OMG, I love Noragami!! I really look foward for the updates for this mod!!!! hey could you make a 1.7.10 version?